Roof auxiliary, pewter. Headliner & components, with sunroof, pewter. 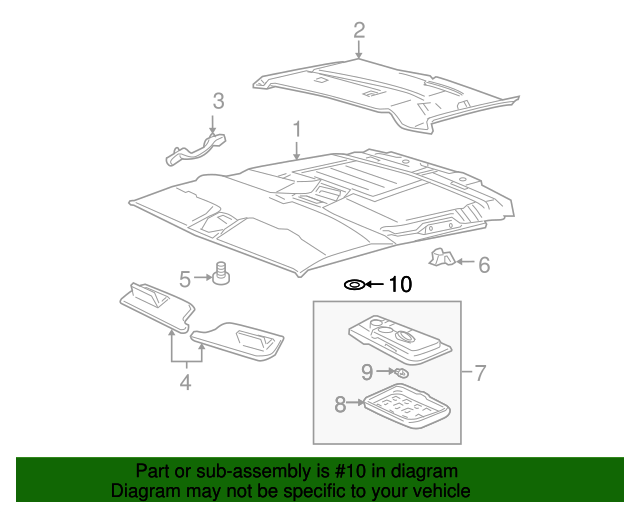 Headliner & components, without sunroof, graphite.